Offering unrestricted wrist movement, the Steel Markward Short Gauntlets are each constructed with six pieces of 18 gauge polished steel. 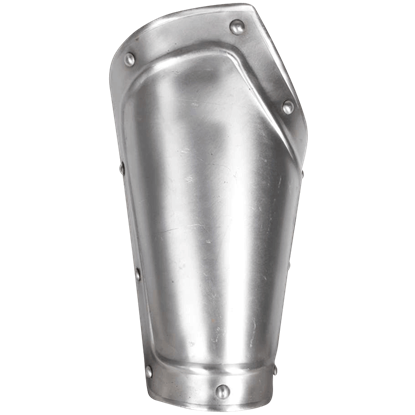 Highly versatile in their style, wear these gauntlets with almost any other suit of armour. 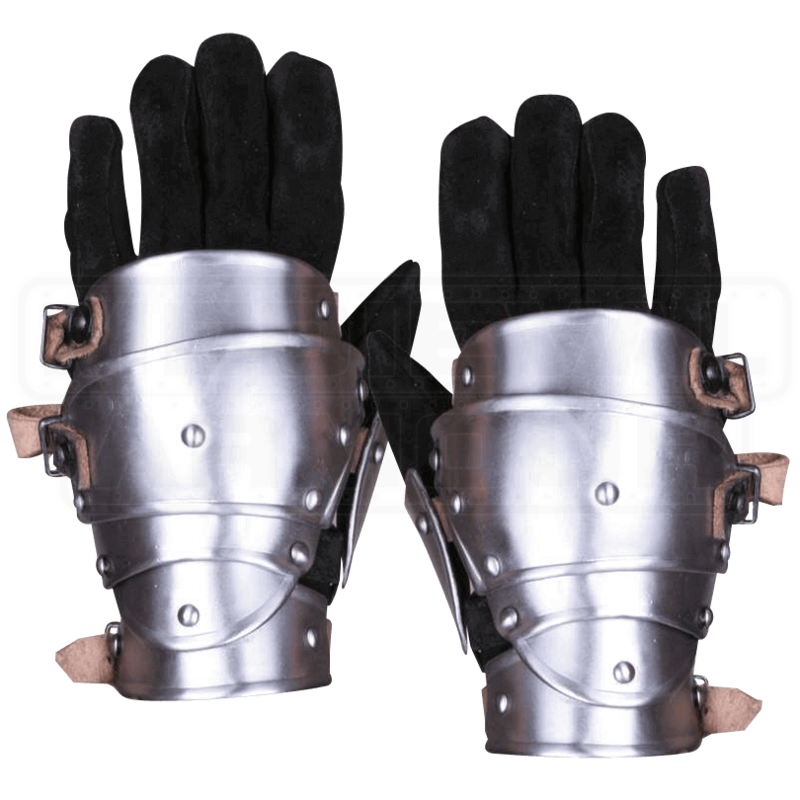 They are adjusted via three sturdy leather buckled straps and are perfect for protecting the hand in light combat or for simply finishing the look of any historical reenactment outfit. 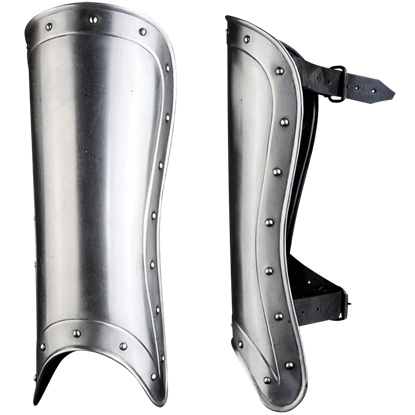 For extra coverage, check out our Steel Markward Gauntlets (MY100091), which feature a similar style but with the addition of wrist protection. This listing is for the gauntlets only. Leather gloves are not included. These things are pretty awesome. They fit well and are well made. The shipping was very fast. I ordered it on Teusday afternoon and it arrived at my house on Thursday. Made of bright, polished steel, the Georg Bracers offer their wearer a classic yet stylish look. Sold as a set, their asymmetrical shape ensures complete mobility of the arm, an essential facility when on the battlefield.